“Tet” is coming in a corner. For those who do not know what Tet is, it is Vietnamese version of the Lunar New Year, and it is considered the most important celebration of Vietnamese culture. The whole country is most lively and cheerful during this time, and you don’t want to miss this chance to travel around and learn more about Vietnamese traditions. Here are 5 best places to go during Tet holiday. 200 kilometers apart from Hanoi, Moc Chau is a well-known destination for backpackers. The best time to go to Moc Chau is from the end of January to February, when plum blossoms and sakura bloom everywhere, making the plateau looks like a white heaven. It is quite hot in Vietnam this winter, and if you miss the feeling of those cold winds blowing to your face, why don’t you come to Tam Dao where the weather is always cool? Visiting the Van Pagoda, Silver Waterfall, Sky Gate… and enjoying local dishes like chayote, Hill chicken, man pig… sounds like a good plan right? Another Northern destination! If you come to Vietnam and you don’t visit Sapa, it’s such a pity. The breathtaking mountainous scenery of Hoang Lien Son range, the terraced fields on rolling hills, the villages of Highland ethics, the colorfulness of brocade fabric… You just don’t want to miss it. Hoi An is my personal favorite place! Used to be a South-East Asian trading port from the 15th to the 19th century, it seems like Hoi An is left by the modern world and still sleeping in its glorious past. With the well-preserved ancient architecture, it makes you feel like you are coming back to hundreds of years ago. It is a small town, so you should spend around 1 to 2 days here. 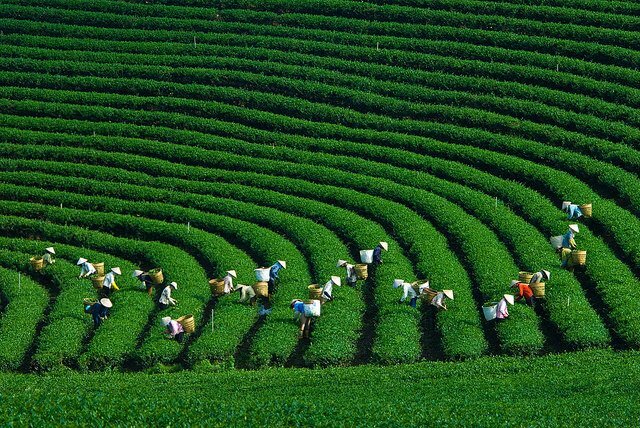 With no doubt, visiting the “City of flower” in the blooming season is a great plan for your Tet holiday. You can hire a motorbike and wander around this city to enjoy its quiet beauty and of course, flowers. Don’t travel during the first days of the Lunar New Year. Vietnamese people stop all the business activities and spend time with their family during those days, so all the stores and restaurants will be closed. You should travel before Tet, or from the 4th day onward. Because it’s the holiday season, the price for foods and transportation may be a bit more expensive. There are some big festivals celebrating Tet holiday with thousands of people joining. However, I don’t recommend you to go there. It will be super crowded and chaotic, which may cause you in trouble. Just imagine something like the Black Friday in America. Go back to Vietnam ;) If I am in Vietnam that time, I may show you around :D! I’m from Ho Chi Minh city so it’s true that in Tet, the street is full of flowers and decorations! How do you like Vietnam? That sounds nice! You should visit more places in Vietnam :)! Ho Chi Minh city and Hanoi are big cities, but other places also have many things to offer! You should visit those places :)! Sapa is very special because it has snow in the winter, which is so unusual in Vietnam. I am actually looking for places to visit in Vietnam, as I plan on returning there next year. I have already seen Hoi An from your list but that’s about it. I would love to explore the North better also, and visit Sapa too. 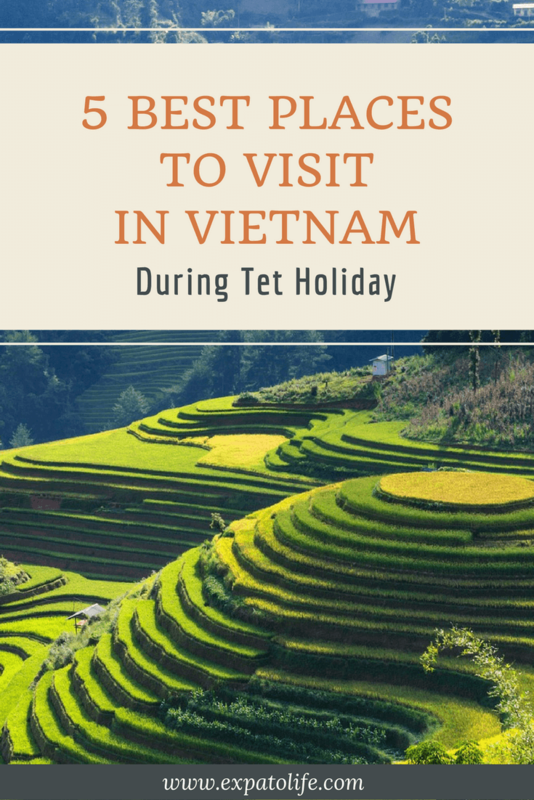 Tet is really important to Vietnamese people, so everyone tends to stay home and spend time with family instead of opening shops and restaurants. However, the streets are well-decorated :)! If you come around 10 days before Tet, you can already feel the atmosphere and still can have great time there! I’ve only been to Ho Chi Minh but I do plan on going further up North hopefully soon. :) Thanks for the tips! Tet is the biggest festival in Vietnam, and it’s time for Vietnamese people to meet their families. That’s why nothing much happens on the street during Tet. You will see less motorbikes, not many people walking, etc. However, if you just avoid a few first days of Tet, it’s totally fine. I love the time just before Tet (around 10 days) because the streets are beautiful with decoration! Hoi An is one of my favorite places in Vietnam! It’s so gorgeous. Need to check out these other locations though, they look so pretty! Haha xD! I guess you felt really bored during Tet in Vietnam. I feft the same too because there’s nothing to do in Tet holiday in Vietnam, except if you are Vietnamese and have family there. So great to know that you love to visit my country :)! I hope your dream will be fulfill, and just ask me if you have any doubt about Vietnam or Japan. Vietnam looks SOOO beautiful. I’ve heard so many great things about Hoi An, this just makes me want to visit more. Sapa sounds amazing too. I’d never even heard of it before, but it’s definitely going on my list. 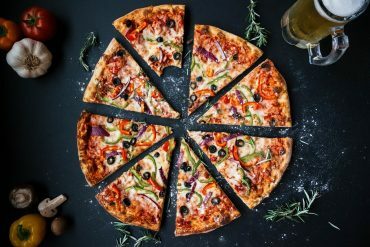 Wonderful tips and pictures! Thank you for your feedback. 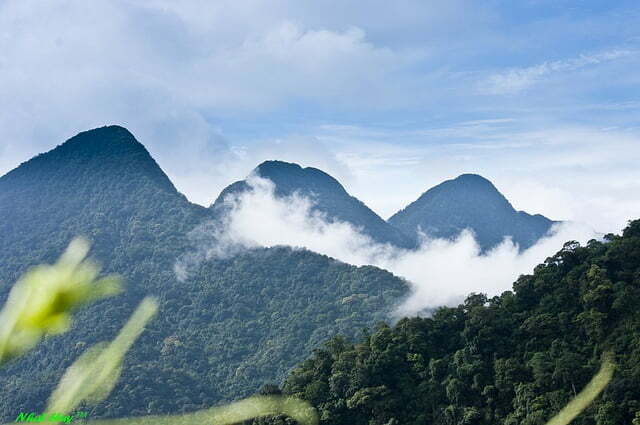 Vietnam is truly a beautiful country with lots of attractions. These are some stunning and beautiful photos! We have not yet been to Vietnam but the more I see, the more I am longing for. Sapa and Hoi An look so amazing but also the other places. Probably we are going next year to a bigger Asia trip – what would you recommend how many day in total are minimum necessary to see these spots? Wow all these places look so exotic to me. Vietnam will definitely be on my travel bucket list. 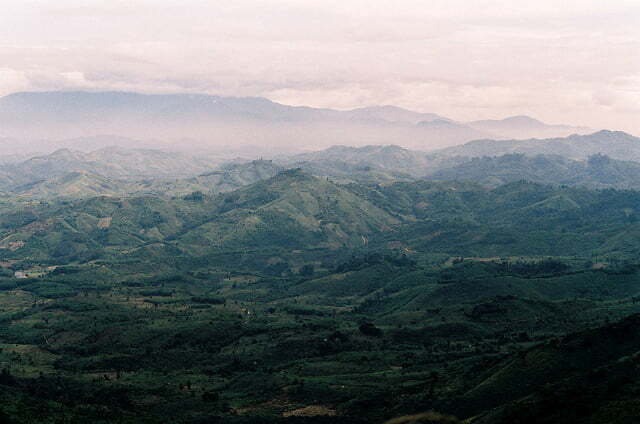 Especially I liked the Mộc Châu plateau…beyond beautiful! Moc Chau is an amazing place! You should also choose the time to travel to Vietnam as well. 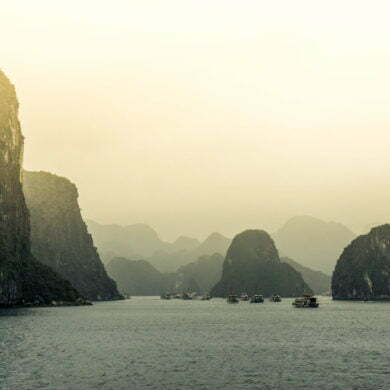 On our first trip to Vietnam we stuck to Hanoi, Saigon and Halong Bay! We can’t wait to head back there and visit Hoi An, Hue and Dalat! They look fantastic! Tet sounds like an exciting festival, and I would love to attend! Thanks for the tips on attending it before it begins or from the 4th day. Holidays are a big thing for festivals! In Tet not many people work, so it’s quite hard to find a good place to chill. I went to Vietnam a couple of years ago and reading your post reminded me how much I loved it there. Hoi An was differently a favorite of mine I loved wondering around those streets and trying all the amazing food there. Great post and stunning pictures. I’m so happy that you had great time in Vietnam! I just visited HCMC and Hanoi a few weeks ago and only wish I had time to see more of the country. Your photos are beautiful. I really wanted to visit Hoi An as I’ve heard great things about it. Would love to go back to Vietnam for Tet holiday next time. I just got back from Vietnam and spent time in HCMC. Sapa is where I want to go next. I never knew about the plum blossoms… will time my trip in Jan next time! 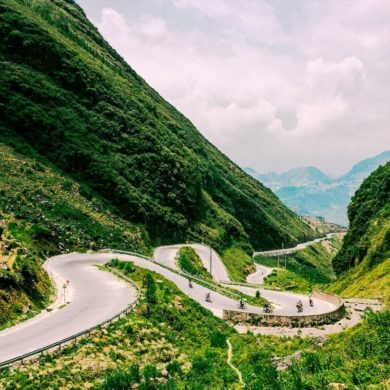 Sapa is amazing and you will love it! The article on best places to go in Vietnam is very interesting and I really enjoy this. Thank you for helping me. I’m glad that you found it useful, Adam. Oooh love this! I’ve been to Vietnam twice: Hanoi/Ha Long Bay and HCM City/Mekong Delta, but would love to return and explore the whole length of the country. Will put these places on the dream itinerary! 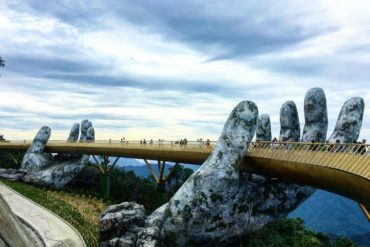 Thanks for sharing and also, it’s so refreshing to see a local’s recommendations on Vietnam for a change! Thanks! Wow! It’s great that you visited Vietnam twice already. I’m glad that you enjoyed your time and I hope you can visit again in the future. Vietnam is just so beautiful! I went to Hoi An and Sapa and was blown away. I can only imagine during Tet the atmosphere is even more festive! Loved all of your tips and pics. I hope to return to Vietnam one day soon. That sounds like a great time to be there, I had never heard of it before! When is it? What month? What is your ultimate favourite place to be for the festival? It’s around February every year, but it can change based on the Lunar Calendar. My favorite place is in the center of the city. It’s really festive. Thanks for sharing your recommendations! 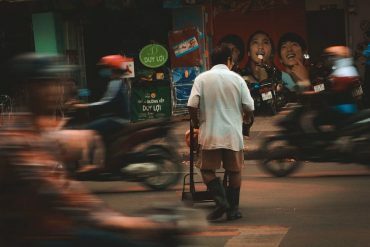 I’m visiting Vietnam next year and this list is really helpful, even though I won’t be visiting during Tet. 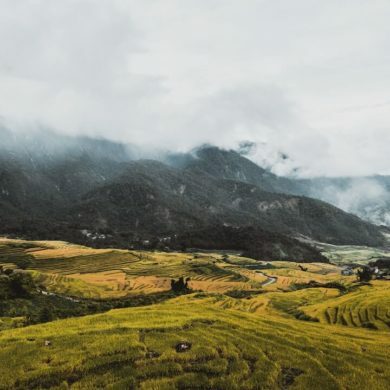 Adding Sapa to my list to visit, it sounds wonderful! Thank you, Adriene. I’m glad that you found it helpful.